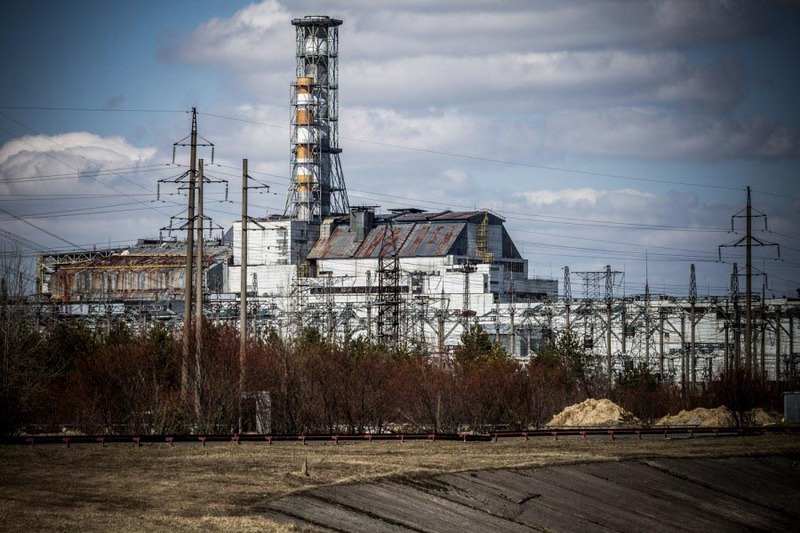 Expedition to the Chernobyl exclusion area – Technomode media — Popular science magazine: reviews of gadgets, factories, exhibitions, interesting articles and much more. Published in Russian and English. On the night of 25-th to 26-th April 1986 the greatest technogenic and environmental katastrophe happened, which ‘glorified’ the Soviet Union throughout the world. 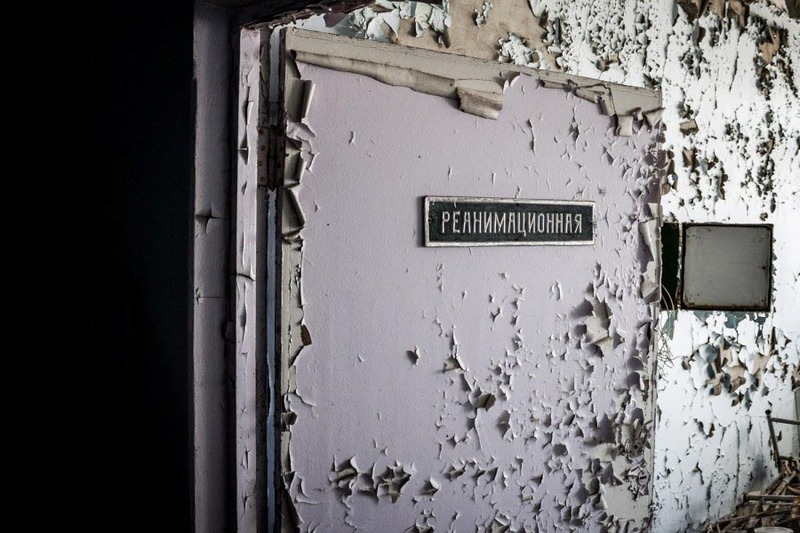 Today, Chernobyl has become a peculiar visiting card of Ukraine. 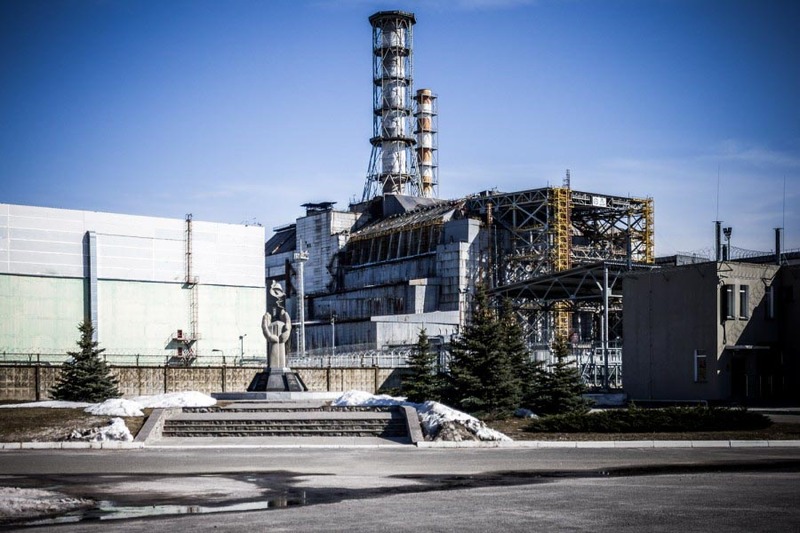 We offer you a detailed report telling about the trip of our journalists to the exclusion area of the Chernobyl nuclear power plant. The accident is regarded as the largest in the whole history of atomic power energetics. 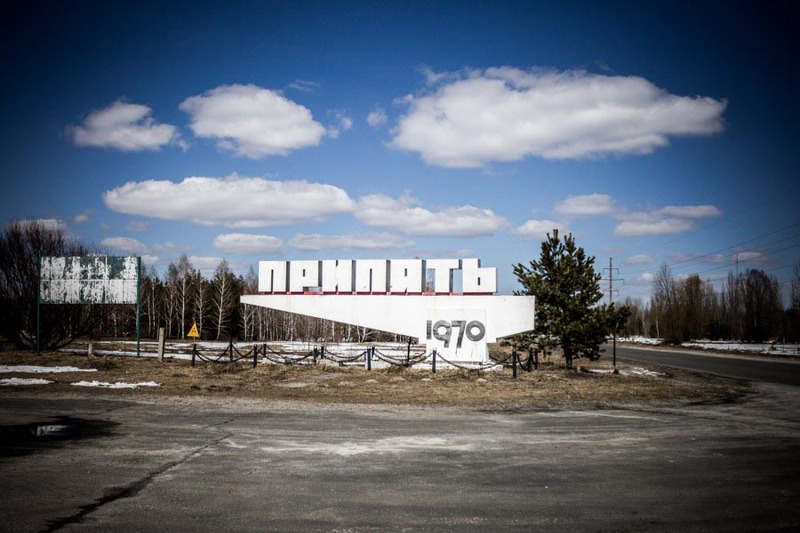 Now the Chernobyl district is abolished, and its territory is assigned to the Ivankov district. In total, about two hundred thousand people from hundreds of settlements were resettled. The zone spread is about 2600 square kilometers. It is comparable with a small European country in area extent. The cleanest part of the zone is its southern part, at the time of the accident the wind was blowing in this direction least of all. Now the exclusion zone is divided into two sub-zones: external or buffer, which is called the thirty-kilometer (checkpoint Dityatki) zone, and internal-ten-kilometer (checkpoint Lilev). Many residents of the thirty-kilometer zone don’t have access to the ten-kilometer exclusion zone. At present time, there are almost no places with high background, except for rufous forest and the sarcophagus. 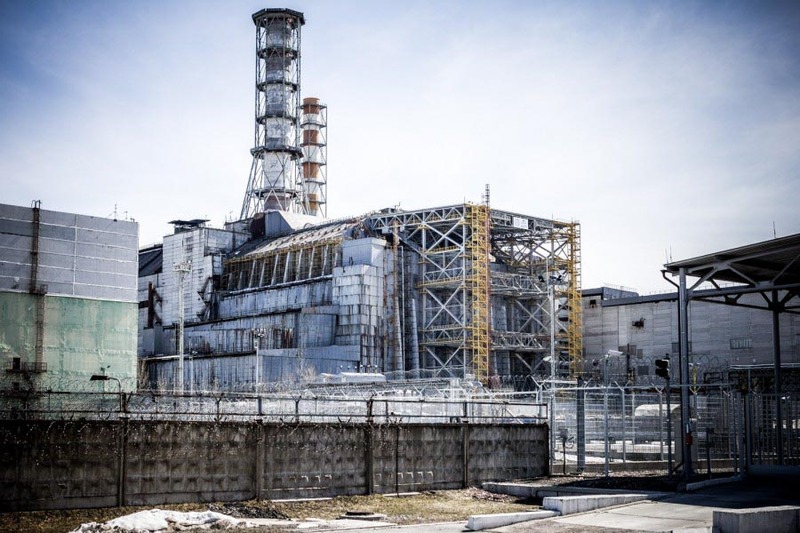 The main problem is radioactive particles in the ground: the smallest pieces of nuclear fuel, graphite brickwork, concrete debris and all that could fly out of the reactor during the explosion. Radioactive contaminated particles have immersed in the ground for about 8-10 cm over the period from 1986 to nowadays. That’s why the background radiation significantly reduces in winter season – the snow acts as a screen. In summer, the radiation level is 2-3 times higher. At the entrance to each of the zones stands a checkpoint, it’s allowed to get into the zone only by passes. At the exit strict dosimetric control is carried out. The car is checked by special devices, and passengers pass through the dosimeter-turnstile, which is equipped with thirty detectors that measure radiation over the body. If the sensor is activated, the person’s passage is blocked, a sound signal is given, and the radiation-contaminated area is displayed on the monitor. “Soiled” thing may be washed and you pass control once again in it, or may be just thrown out. Normal generally accepted background of radiation is considered to be 0,2 µsv (microsievert). The background may be slightly increased in large cities. Radioactive gamma-radiation can be compared to sunlight: you can spend the whole day in the sun and get serious burns, and you can stand for ten minutes without any consequences for the skin. As soon as we move away from the directed source of radiation, it immediately ceases to harm us. Accordingly, the farther we are from the radiation source, the lower the level. Radiation kills the body at the cellular level, destroying our cells much faster than they can recover. The most terrible thing is when radioactive particles, such as dust, get into our stomach or lungs. In this case, the radiation begins to kill the body from the inside. It isn’t difficult to get into the exclusion area. The application is sent in advance. If the security service of Ukraine has no claims to you, then a special program of visit will be made for you. It’s necessary to observe a few simple rules: have closed clothes, don’t touch anything, don’t eat in the open air, don’t use alcohol and drugs and don’t drink water from rivers and lakes. It’s forbidden to hunt, fish, gather mushrooms and berries in the zone. After the man left the zone, nature came into its full rights. Now the zone is a peculiar nature reserve with a large population of various animals. Wolves, wild horses, wild boars and aurochs can be met here. 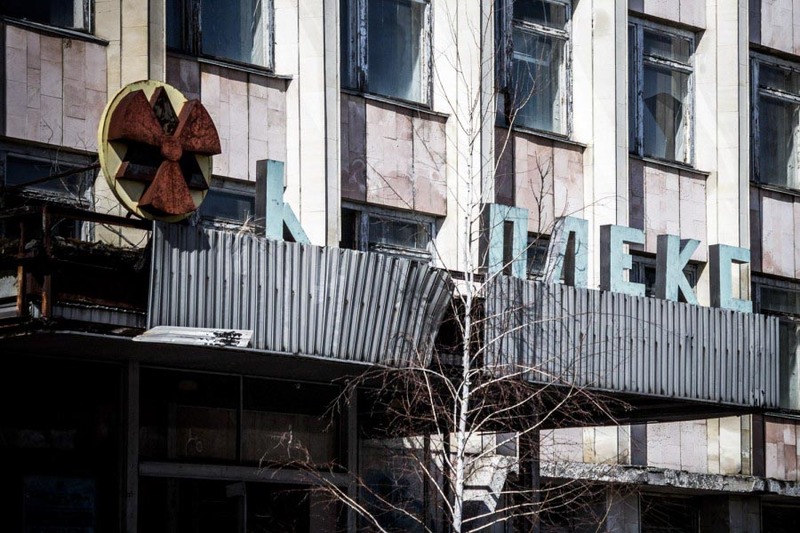 The city has an eatery — a former Pripyat restaurant. A bar is organised on the ground floor wherе alcoholic beverages may be bought. Prices, in fact, a little higher than in Kiev. On the second floor is located an eatery where tourists can pre-order an inexpensive but truly nourishing lunch. There are several monuments in Chernobyl. One of them, located near the fire station, caught my attention. It was created by the Chernobyl NPP liquidators themselves. Every year on the night of the 25th to the 26th of April, a fire truck with a blared siren goes out of this fire station, passes throughout the town and goes towards the nuclear power plant. 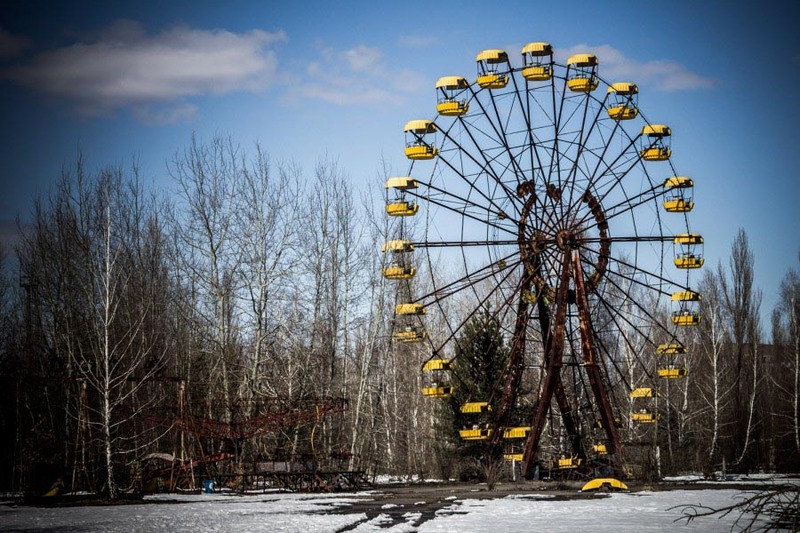 Chernobyl is a town located about ten kilometers away from the nuclear power plant. It never had any direct relevance to the station itself. The name of the town was given due to the plant Chernobylnik (wormwood), which grows here everywhere. About fourteen thousand people lived in Chernobyl before the accident. 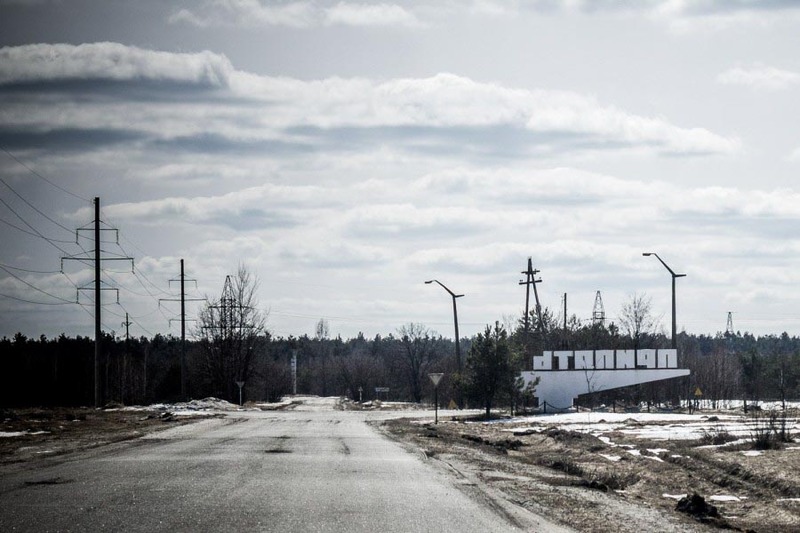 Now it is a closed town, shift camp or unofficial capital of the zone. Radiation background in the town is equated to the generally accepted norm. About two thousand people work and live in the town. Their work is directly related to the zone: foresters, firefighters, security service, police, road workers, communal services. 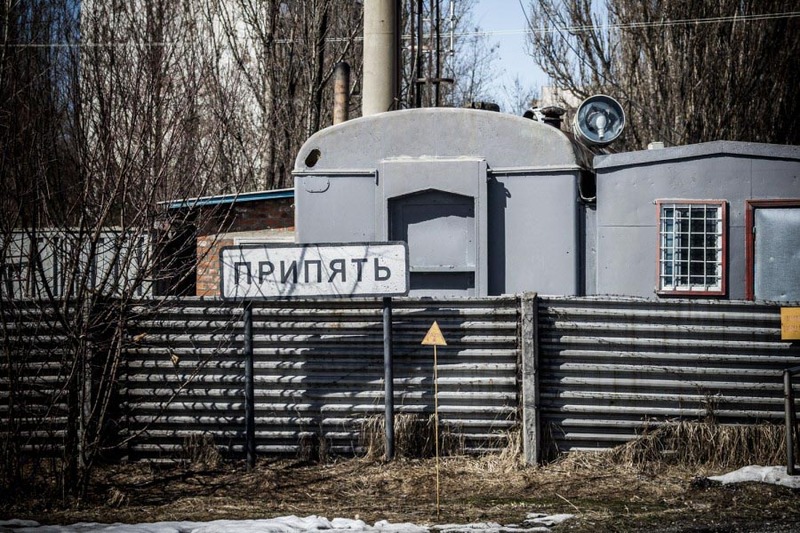 The NPP workers themselves don’t live in Chernobyl, they get to work by electric train from the Slavutych town. There are enterprises in the town that are engaged in the burial of radioactive waste. Ordinary houses in the town are now redesigned into dormitories for workers who work in shifts: fifteen through fifteen or four through three. 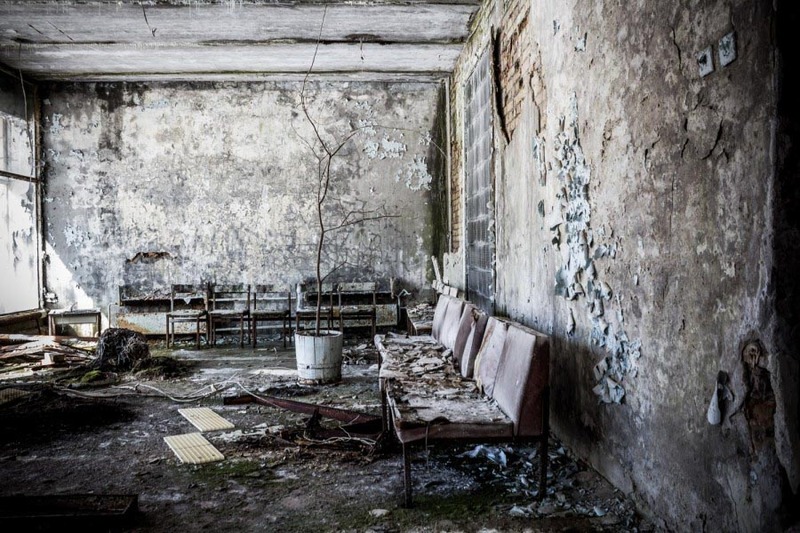 In the whole Chernobyl prevails an atmosphere of the Soviet Union. For example, in street names: Lenin, Soviet, Kirov and Liebknecht. You come into the office of the local administration, and here bureaucrats are sitting at the desks, which were set back in the 80s and lights are buzzing overhead. Not far from the fire station is located an open-air exposition. Techniques and robots-liquidators who took part in the liquidation of the consequences of the disaster are presented here. It’s forbidden to get close to the technique, it has a so-called induced radiation. If the metal is located near the radiation source of radioactive waves for a long time, it becomes the source itself. It’s impossible to ‘scrub’ such metal off. 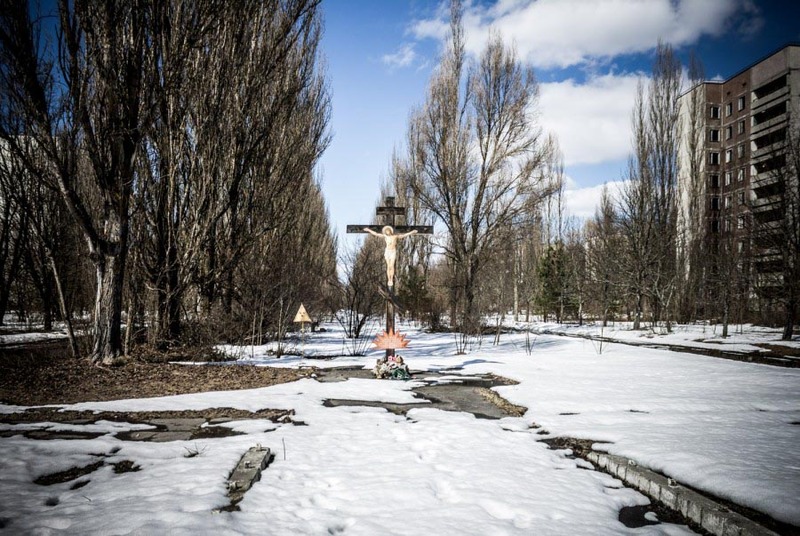 The memorial with crosses-nameplates was established on the 25th anniversary of the tragedy in Chernobyl, on which the names of settlements subject to mandatory resettlement are written. The civilian population, which returned to the exclusion zone of their own volition, is designated as ‘squatters’. Initially, about two thousand people returned to the zone. At that time the problem of self-willed return to the danger zone was tried to be struggled, but soon understood that it’ll disappear by itself – someone’ll leave, someone’ll die. 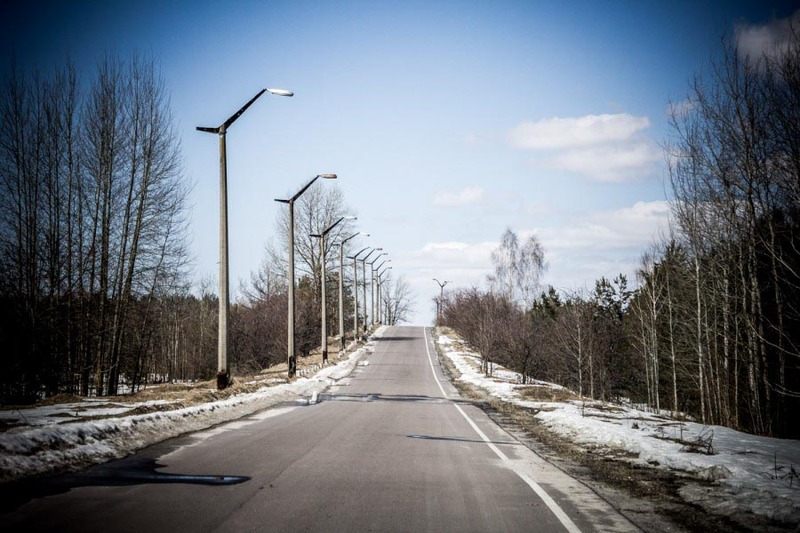 Today about two hundred people is left, one hundred of which live in Chernobyl, and the rest scattered about the area. They live in the clean-southern-part of the exclusion zone. The average age of squatters is 80 years. No diseases associated with radiation haven’t been found. 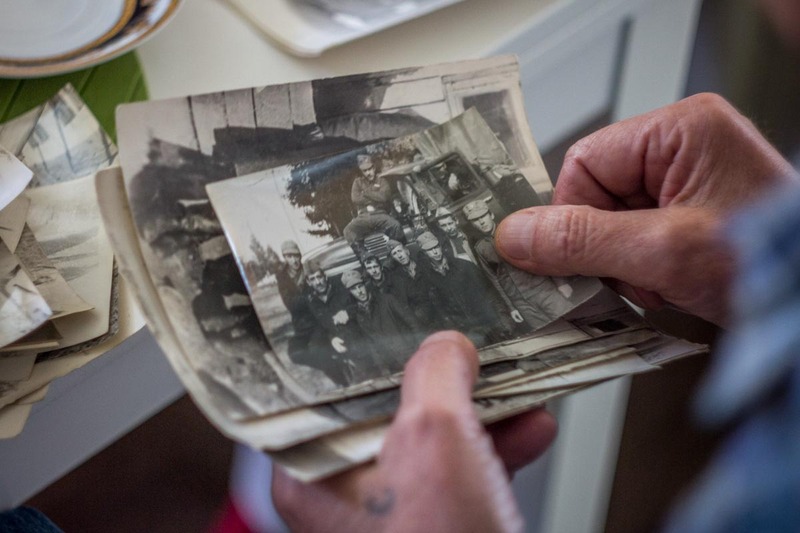 Squatters became people who didn’t find a normal life outside the zone. Someone at the time of the katastrophe was in prison and, having returned, couldn’t get an apartment, and someone didn’t want to leave the acquired household. They say that among the squatters escaped prisoners can be met and for them it’s the best place where you can hide from the law. Squatters eat from their own gardens, make a living by illegal fishing and hunting, breed cattle and make the purest Chernobyl hooch. 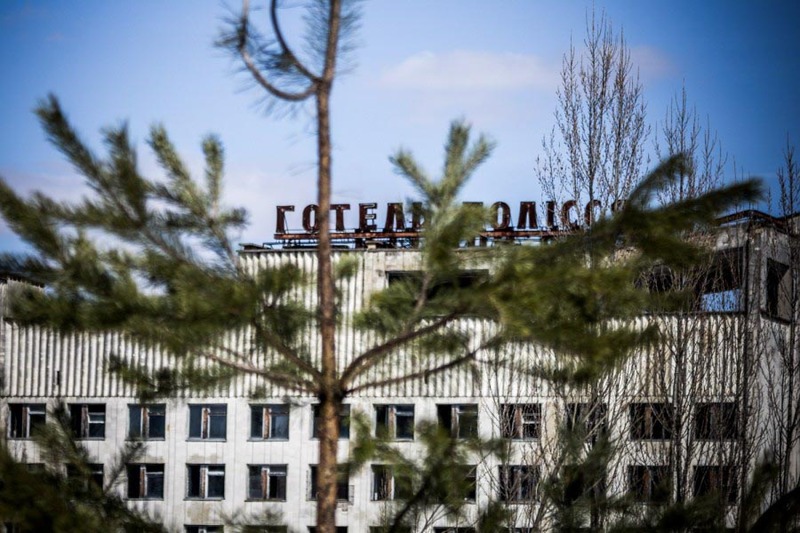 Chernobyl enterprises help partly the self-settlers: repair buildings, conduct medical examinations and treatment. Quality of foodstuffs grown by squatters at their homesteads are constantly checked. It’s possible to stay near the sarcophagus only from the south side on a specially constructed observation site, which is located 300 meters from the sarcophagus. The dosimeter shows 10-20 mSv, which is a hundred times higher than normal. The sarcophagus itself is a structure with a height of 70 meters. 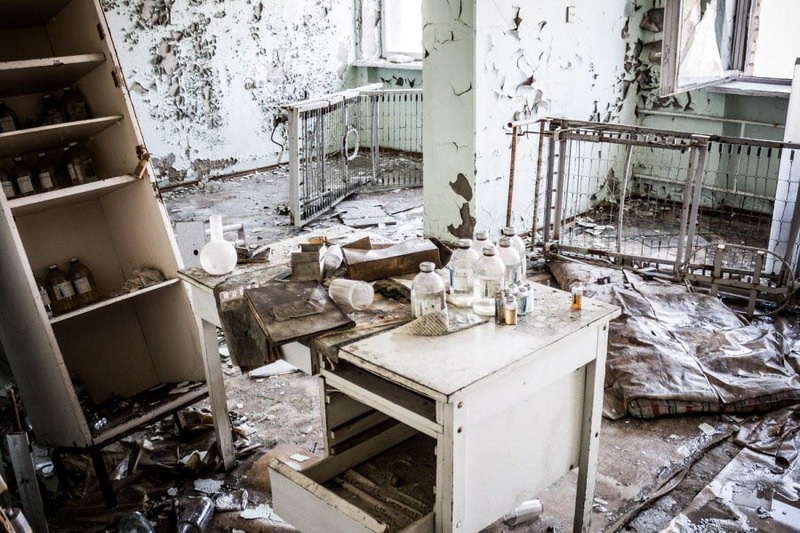 There are not only radiation-contaminated facilities, but also rooms with a perfectly normal background inside. 400 thousand m3 of concrete and 7000 tons of metal went on the construction of the sarcophagus. 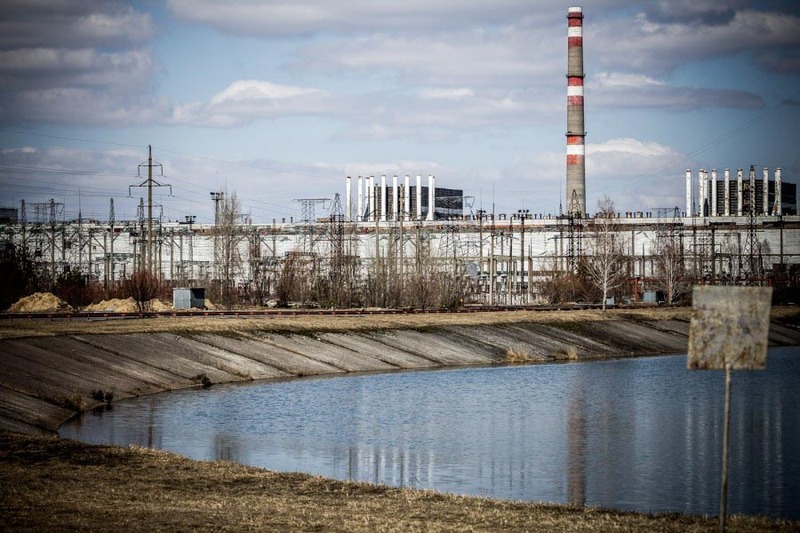 The preparation of the 1st power unit’s foundation ditch was proceeded in May 1970, and the year before the financial estimates for the construction of first-priority objects of the Chernobyl nuclear power plant was approved. On March 28, 1984, 3 months earlier than scheduled, the 4th power unit was put on the projected capacity of 1000 MW. On April 26, 1986, the reactor of the 4th power unit was completely destroyed by the explosion. Construction of new blocks stopped immediately after the explosion. Significant human resources, more than 600 thousand people were involved in the liquidation of the accident. A reliable version of the accident hasn’t been still found. There are many versions of the development of events-from the initial error in the designing of the NPP to the earthquake. At present moment, the station doesn’t produce electricity, it has completely depleted its resource. The 3rd block was stopped last in 2000. After the explosion of the 4th unit, no one was worried by the question of the decommissioning of the station, all other blocks continued to work. It turned out after 2000 that there are no rules for the decommissioning of nuclear power plants in the country. When stations were designing, no one thought about their removal from service. 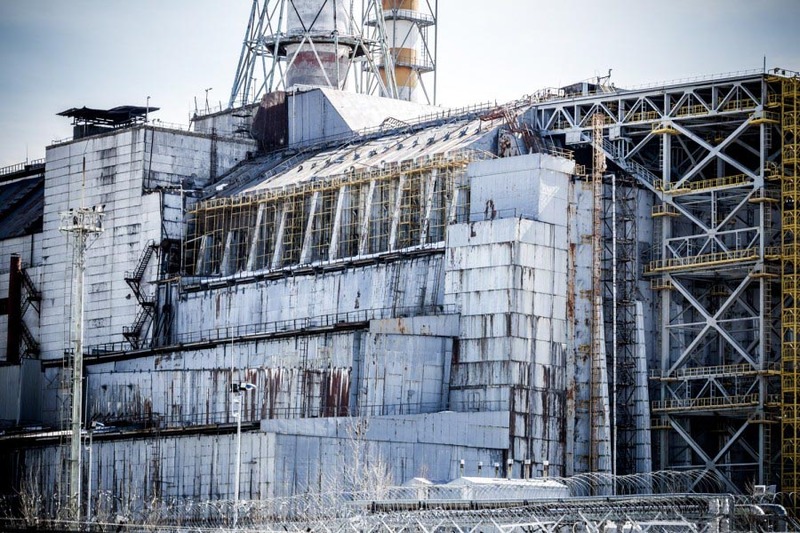 Now the Chernobyl nuclear power plant’ll be decommissioned until 2070. It’s planned to build a spent fuel pit building of all Ukrainian stations in the exclusion zone. The special boiler-room had to be built for heating the facilities of the station, which runs on fuel oil and gas. 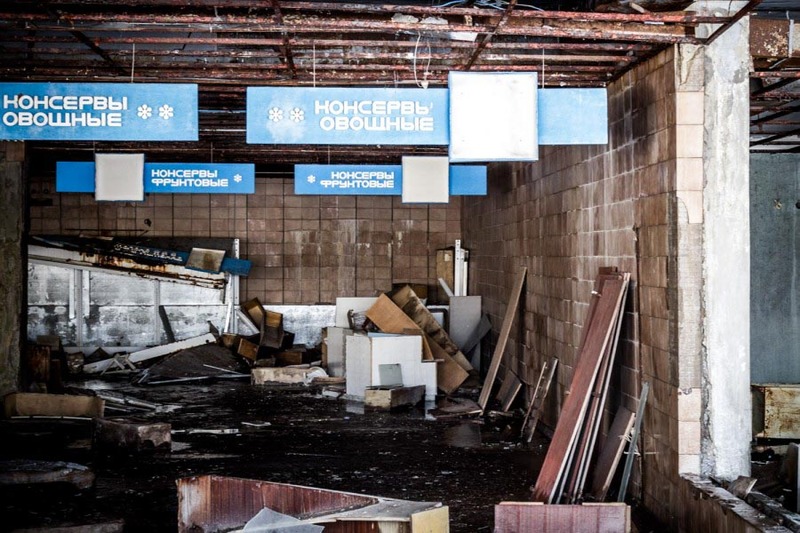 At present moment, Chernobyl is not only an environmental disaster, but also a huge financial pit. Many capacities work for no purpose, but they can’t be stopped because of the threat of radiation spread. 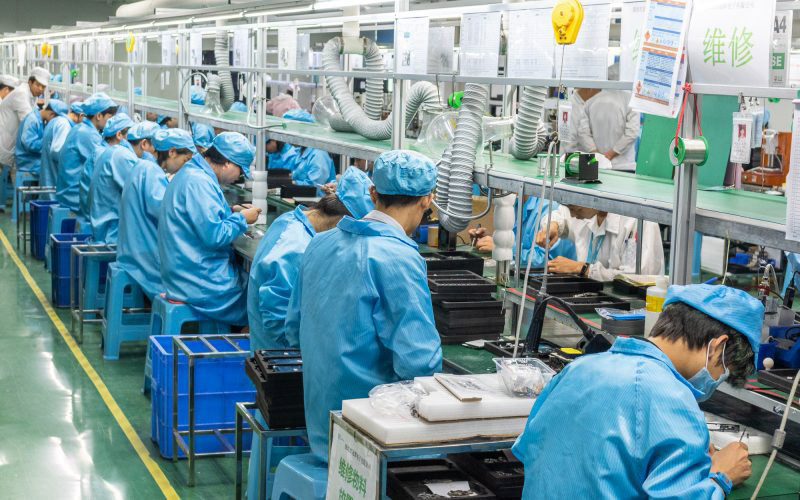 For example, water-pumping units, consuming a large quantity of electric power inject water into the water cooling pond. It’s impossible to to stop the pumps, because if the pond’ll dry up – 22 square kilometers of heavily contaminated ground’ll be opened. The shelter was built in 206 days, 90 thousand people were involved in its construction. Background in podirectory areas is approximately 1 SV. Sensational items are very often appeared in the global press, that a hole was formed in the sarcophagus due to the collapse, from which there is a potent threat of escape of nuclear radiation. In fact, from the very beginning the sarcophagus wasn’t hermetical (in the Soviet years it wasn’t possible to make a hermetical shelter), it has more than 1000 m3 of technological holes. The construction of the sarcophagus is a concrete foundation, metal sheets and a pipe roofing. There is a special dust suppression system inside the sarcophagus, which works on the principle of an ordinary shower. It wets radioactive particles and doesn’t let them fly out through the technological spots of the sarcophagus. A special organization maintains the sarcophagus’s state. The sarcophagus itself leans on the walls of the block, which are badly destroyed after the explosion. Recently, the walls began to collapse and the structure began to sag. In 2006, in order to lighten the walls of the block, a special structure like a discharge rack was installed, which supports the sarcophagus. Now the 4th power unit has a unique appearance – two vent pipes are installed on it. The second pipe was installed in November 2011. The unsuitable height of the old pipe under the new shelter caused the need for this. In the near future, the old pipe’ll be removed, and the sarcophagus’ll lose its familiar appearance forever. 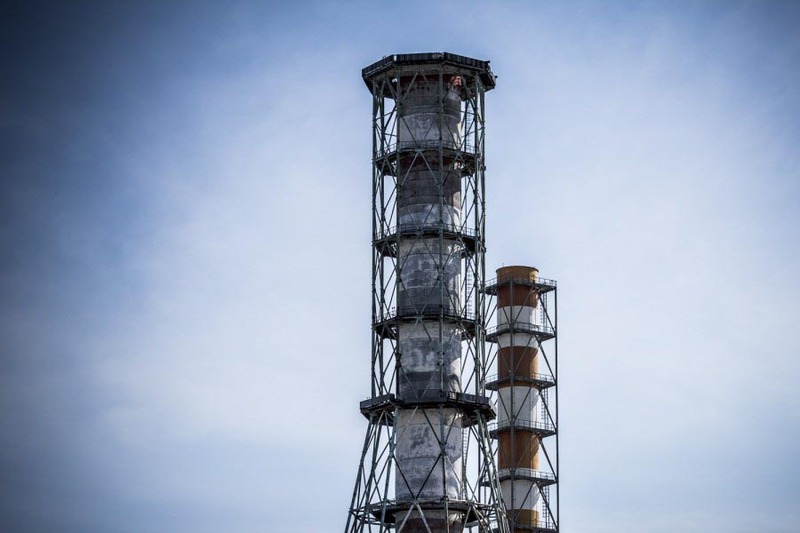 The old vent pipe has become a real symbol of the Chernobyl NPP and the entire exclusion zone. It’s safe to be near the station, all objects are washed and deactivated. New soil was brought and new asphalt was laid. A plant for processing liquid radioactive waste was built in cooperation with France and Germany to decontaminate natural fallouts. Melted snow or rain, which passed through the reactor, is collected in one place and delivered for processing. Six firefighters, who first arrived at the burning reactor, and twenty four employees of the station-operating personnel and security became the first victims of the accident in 1986. 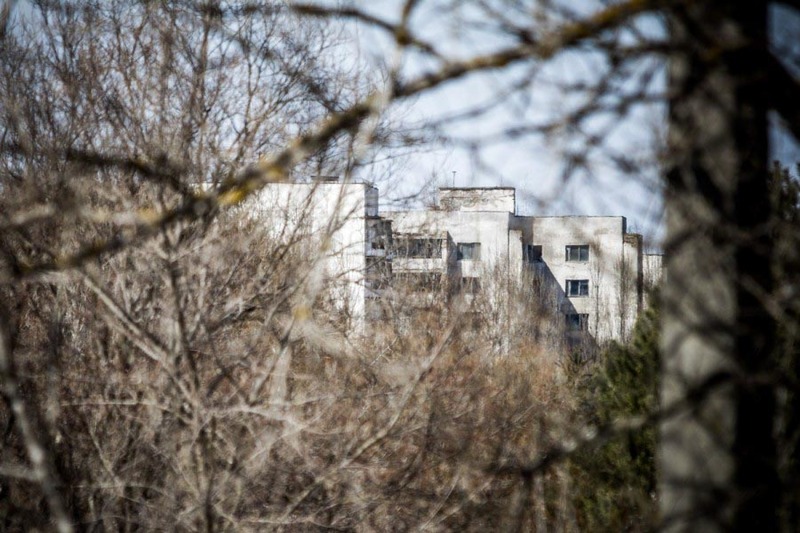 The senior reactor operator Valery Khodemchuk came first in the ruins of the reactor hall, his body hasn’ been still found. 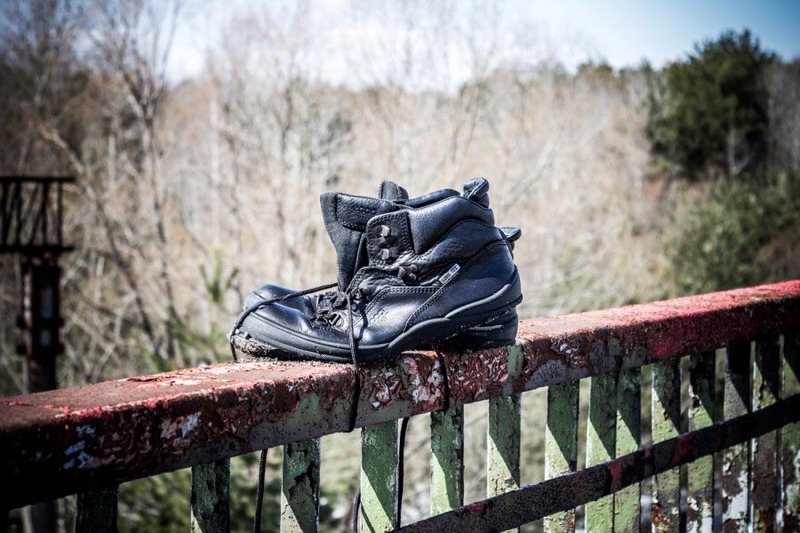 The second victim was the engineer of PPP “Smolensk-Atomenergo” Shashenok Vladimir. He suffered severe burns and spinal injury and died in the morning in hospital without regaining consciousness. In 1986, many rescue operations were carried out at random. Management looked at the sarcophagus from a distance and didn’t always make the correct decision. Sometimes people were sent to die without any result. So, the tunnel under the reactor was excavated with forces of Donetsk miners in order to pump inside nitrogen through it and by doing so to cool the reactor. The tunnel was dug, but the nitrogen couldn’t be pumped. 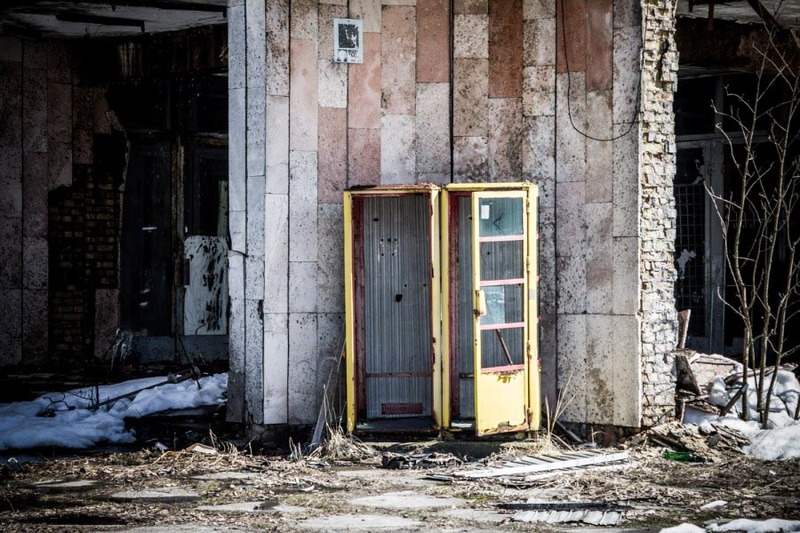 The international Chernobyl Fund has allocated means for the construction of a new hermetical shelter for the 4th unit in order to solve the problem with the sarcophagus once and forever. Construction of the shelter is very expensive – now the amount of expenses has already reached a billion euros. Novarka concern directs the construction. 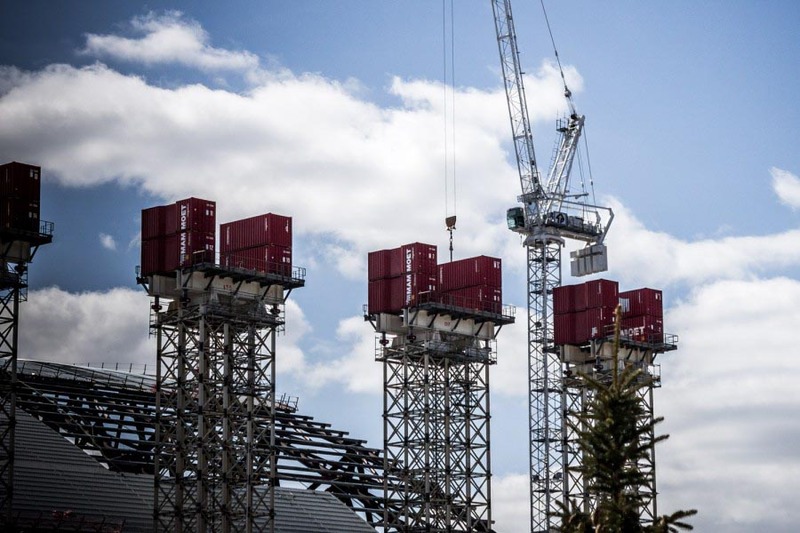 The construction turned out to be international: management is French, the Germans work on the cranes, the Turks make the roofing, there are also brigades from Ukraine and Russia on the site. In total, about a thousand people are involved in the construction. The new shelter’ll be built in the form of an arch and will allow to dismantle the existing sarcophagus safely in the future. A new shelter with a height of 110 meters is being built next to the 4th power unit. It will be rolled on the reactor on special teflon rails afterwards. 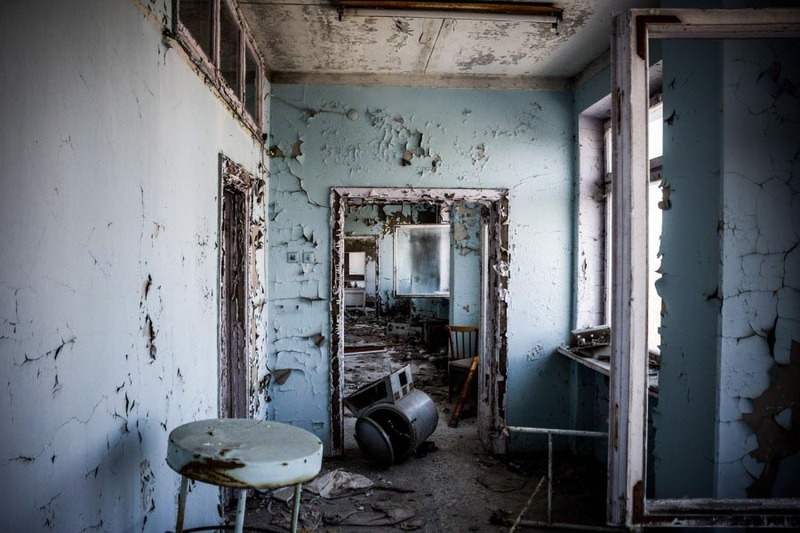 The Chernobyl accident inflicted a heavy blow to the world nuclear power industry. No nuclear power stations were built in North America and Western Europe from 1986 to 2002. This was connected with the pressure of public opinion and the increase of insurance premiums for the stations, which caused a decrease in the profitability of atomic power energetics. 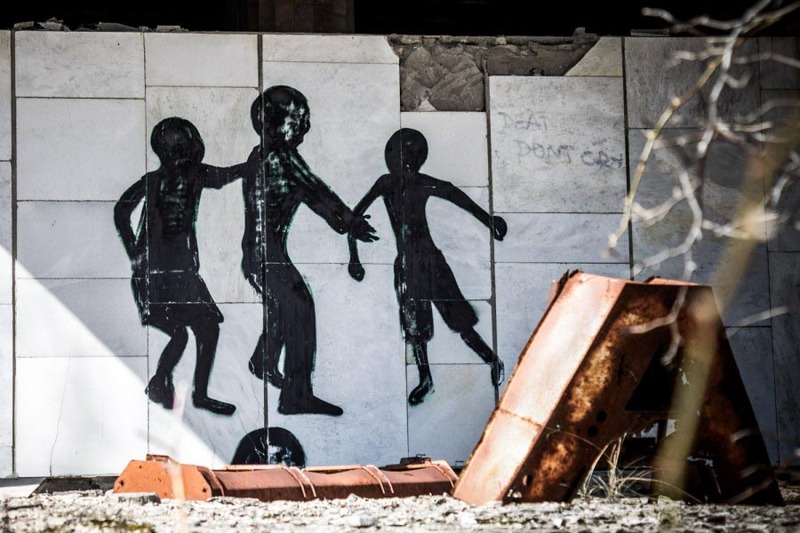 Pripyat was founded on February 4, 1970, the status of the city was received in 1979 and was a part of the Chernobyl district. The reason for the town’s founding was the construction and subsequent operation of one of the largest nuclear power plants in Europe – the Chernobyl NPP. 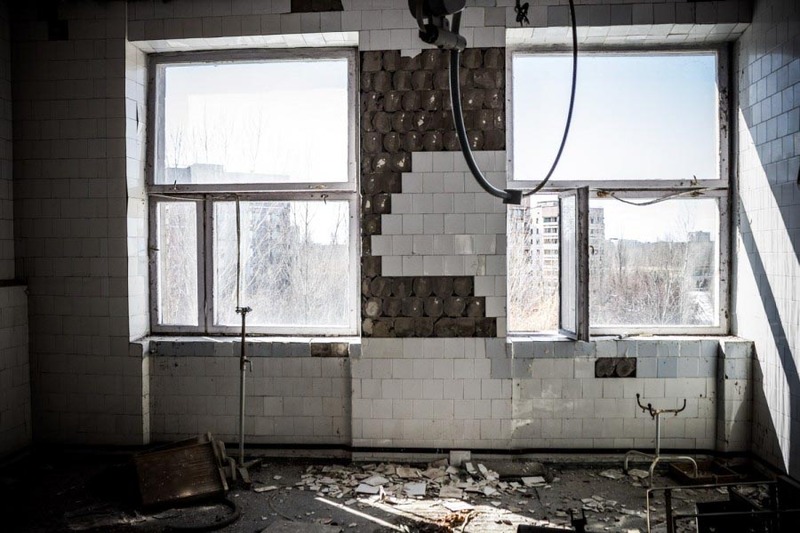 Construction of Pripyat was proclaimed the all-Union top-priority project. The city expanded, acquired its own appearance. The total area of the dwelling stock covered 160 houses, 21 educational institutions, a medical sanitary station, 25 shops, 27 eateries, cafes and restaurants. The city had its own Palace of culture, cinema and amusement Park. According to the latest census conducted in 1985, 47,500 people lived in the town and an annual population growth was over 1,000 people. 800 newborns were among them, the rest arrived for habitual abode from different regions of the Soviet Union. 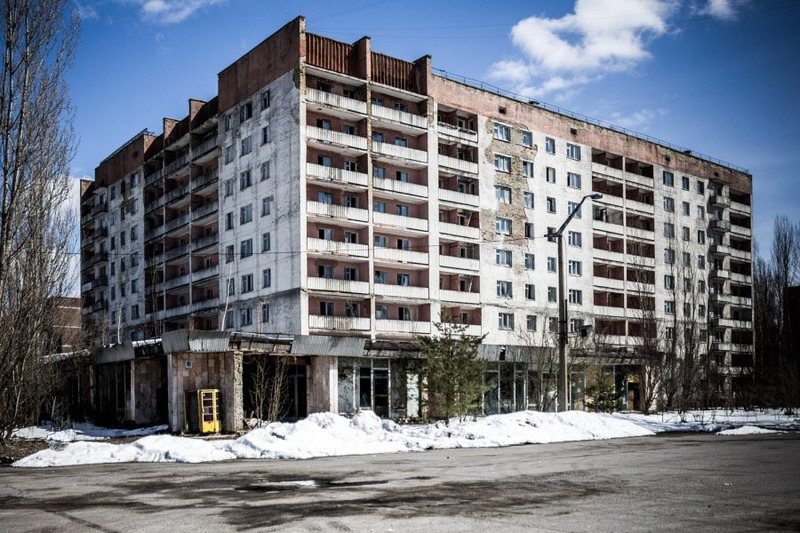 The city is located on the banks of the Pripyat river, 3 km from the Chernobyl NPP. 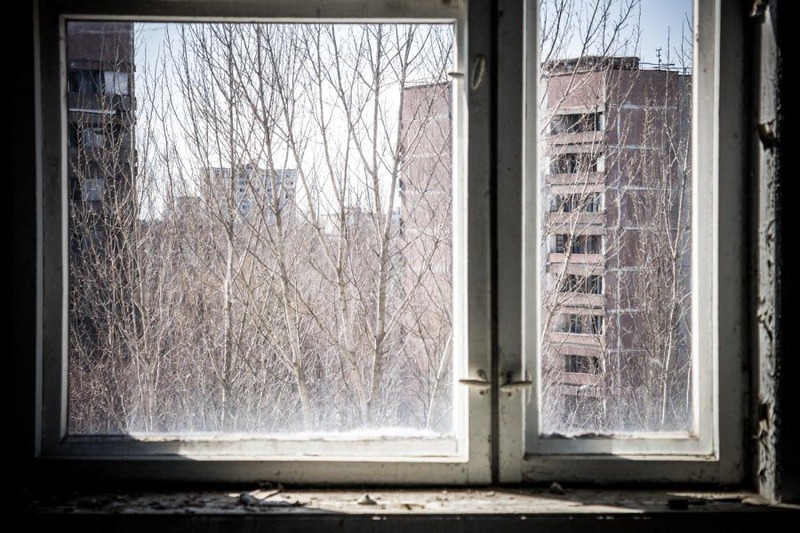 On April 27, a temporary evacuation was announced in the Pripyat town. Buses which were escorted by military personnel and police officers were laid on to every dwelling house. It was allowed to bring only documents, essential things and foodstuffs. Things were guarded by the military for some time, and the town initially tried to clean up from the radiation. The soil has been removed, houses were treated, rooves were changed in the town. But all attempts were useless. Town decided to leave forever. In order not to let marauders to make use of this situation, the military destroyed all recyclable items. The town was completely abandoned. At present time, three organizations work in the town: a water-lifting station, a laundry and a special garage. Almost the entire uninhabited dwelling stock of the town was involved until 2000. Laboratories, a fire station, police and a first-aid post worked. Even the swimming pool was open until 1996. By lapse of time, the buildings came into disrepair – school almost crumbled, bookstore collapsed last year. It isn’t recommended to enter the buildings. 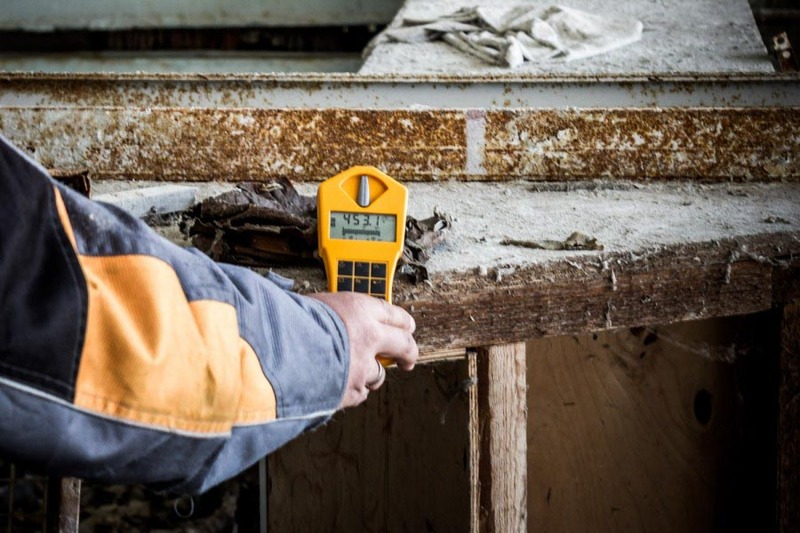 It isn’t safe to walk around the town without a dosimeter, you can easily ‘get dirty’ with the remains of radioactive dust or fuel particles that scattered during the explosion. It is impossible to break or blow up buildings – the wave can reach the NPP. Therewith, contaminated dust may rise. 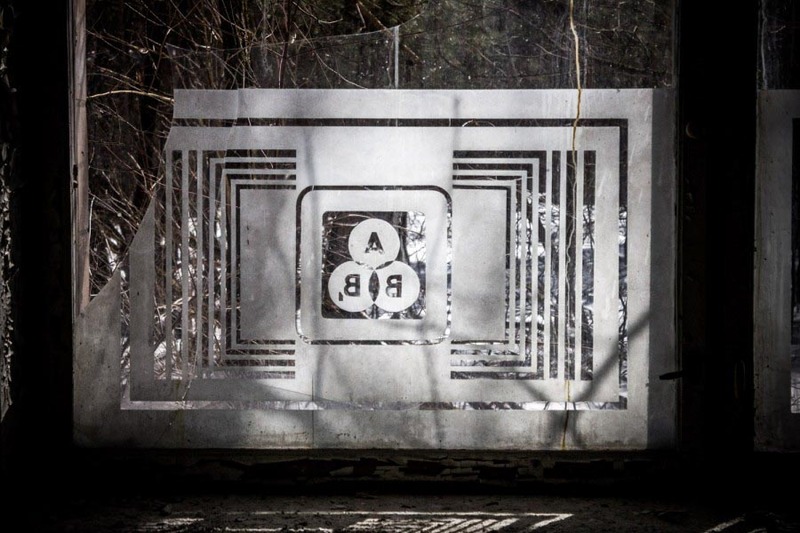 The tragedy turned the Chernobyl exclusion zone into a real nature reserve. The nature here dominates everywhere and develops in natural conditions. The towns of Chernobyl and Pripyat can also be referred to a peculiar reserves, protected areas of the Soviet Union. 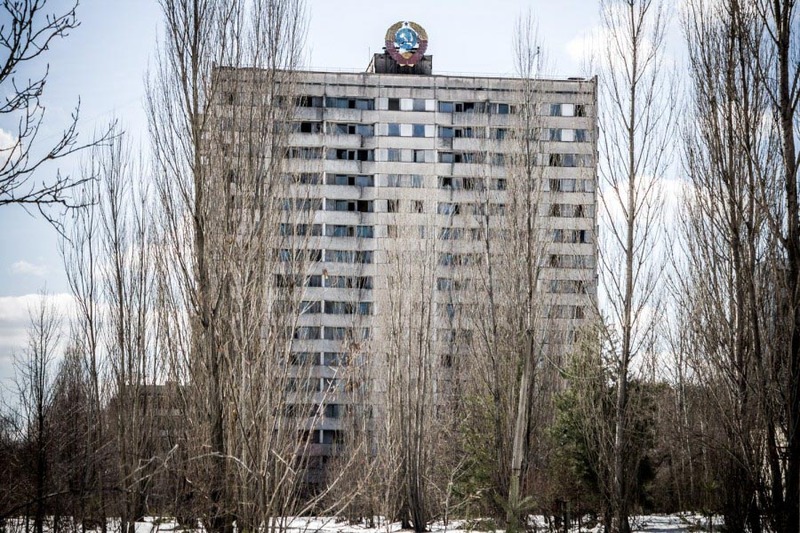 In 70s-80s, tourists and official delegations from all over the world were brought to Pripyat in order to show how the modern Soviet nation live. 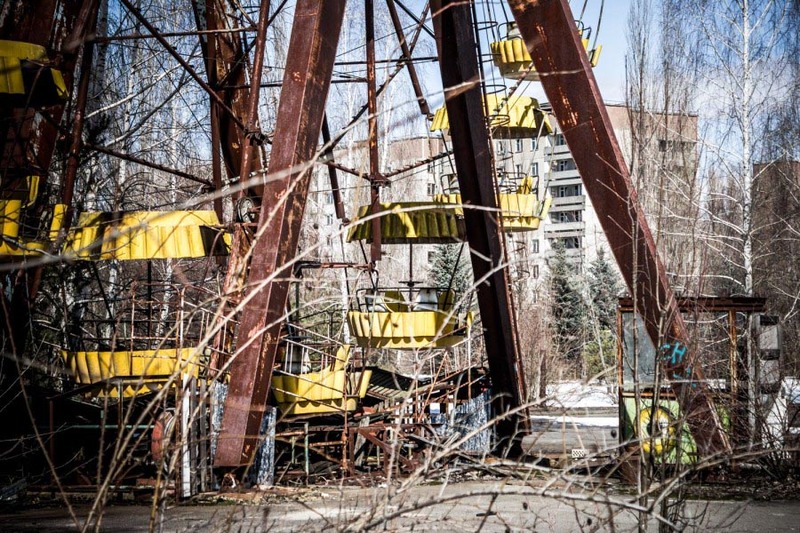 Today they go to Pripyat to see how the Soviet people did live. 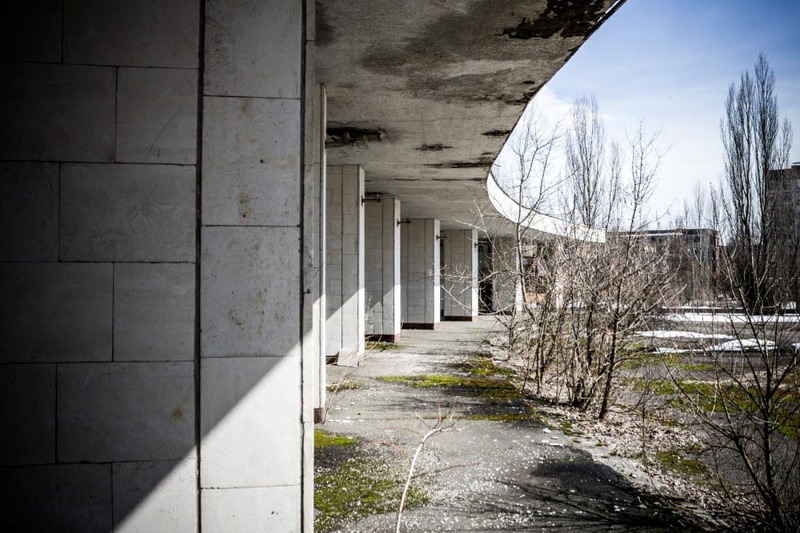 Groups of architects can be met on the streets of Pripyat, who study the principle of ‘triangular’ housing, where usual buildings are adjacent to the high-rise ones. It should be remembered that the zone is not a place for picnics or a recreation park. In the area you can meet plenty of dangers: the possibility of building’s collapse, wild animals and, most importantly, the probability of radiation contamination. You can easily catch the subject unknowingly with the radiation background exceeding the norm in hundreds of times. 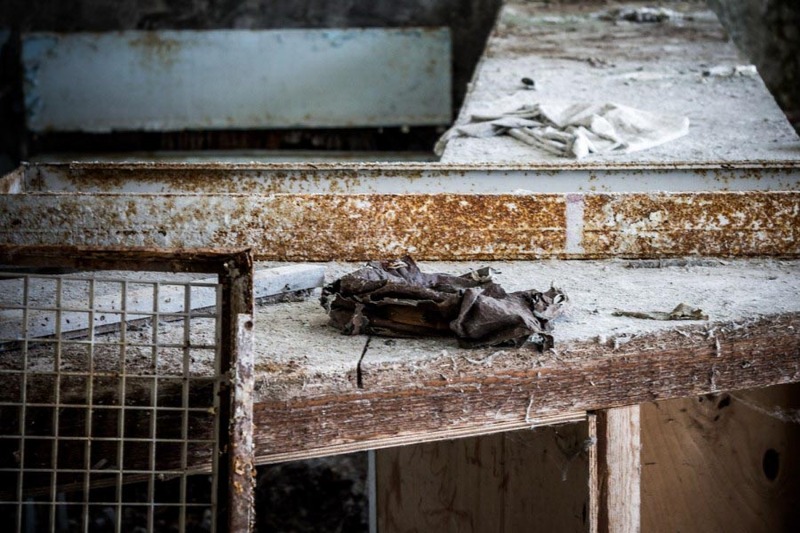 For example, in the basement of the hospital in Pripyat is located a storage of clothes, in which irradiated liquidators were brought into. Contact with such clothing would be fatal. It’s worth visiting this area only officially, with a professional guide and having a special dosimetric equipment. 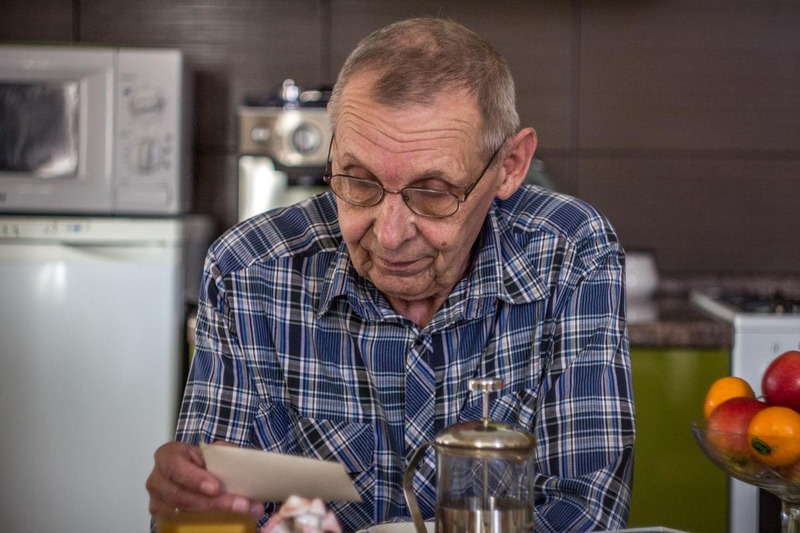 Our hero’s parents were native Kazan citizens, but after graduation from educational institution they went to Minsk by allocation, where Sergey Viktorovich was born in 1950. They lived in Belarus for 5 years after his birth and then returned to Kazan. Sergey Viktorovich had time to go to army where served a couple of years, get education, get married and get to work for harmful manufacture during his youth. Now very few people remember, but in those far Soviet years there was a plant of autospecialequipment near the Kazan kolkhoz market. 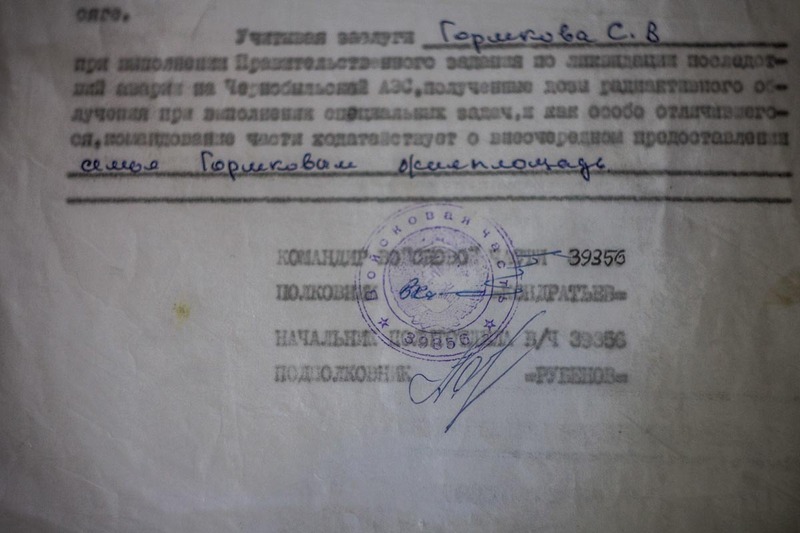 Right there, in the hot workshop, Sergei Viktorovich was working at the time when he was again called to the military enlistment office. In was in 1986, in a fatal year for the state and politics of Mikhail Gorbachev. Our hero had already guessed why he was invited in the military office. There was no words ‘I want’ and ‘I don’t want’ in the Soviet Union, there was only one tough and rigid ‘Must’ and if you refuse, you’ll go to look for the truth in the Siberian woods. 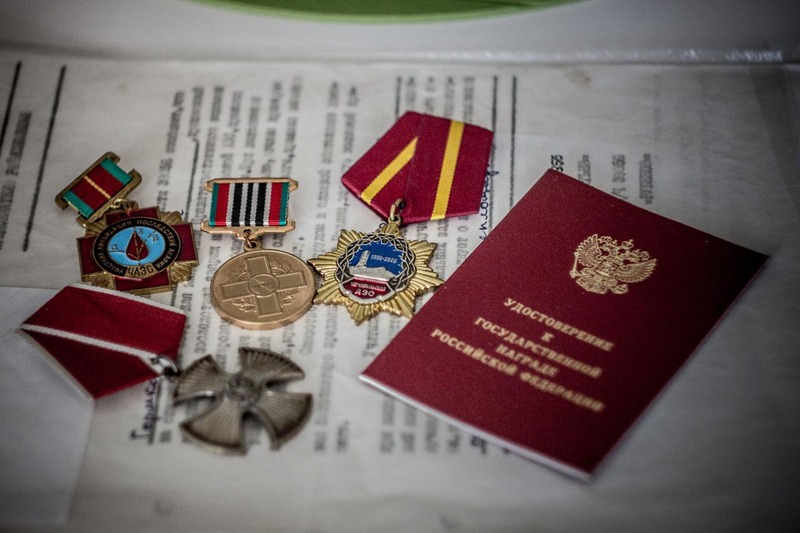 Sergey Viktorovich remembers that no one has a great desire to go there, because reservists were called up from 30 years old, those ones who had already have families, and there was at least one child in a family. People unwillingly put their signatures and went to a purely notional medical board. In the end, about 15 healthy and young guys were gathered, who went home to wait for X-hour from the military office. They were called so three times, but each time something was cancelled and young people came back home, but after the next such trip, they had been put in the separate carriage, hitched to the usual passenger train, and sent at first to educational army unit, and from there, in couple of weeks, to Kiev. 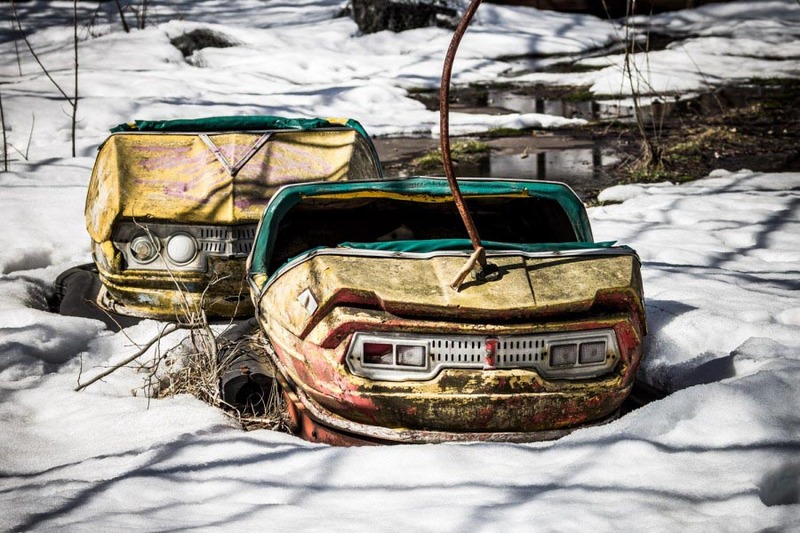 From Kiev guys were brought on trucks to a glade in the middle of the forest which was located near the Ivankovo village at 30-kilometer distance from the 4th energy block of the Chernobyl NPP destroyed by explosion. Here Sergey Viktorovich recalls an interesting fact: the forest was so “dead” that even the singing of birds couldn’t be heard. At first, guys had to work on the reconstruction of the camp, build platforms, set up huge tents, to improve everyday life. The camp was built thoroughly, there was a clear understanding that the consequences of the tragedy of the explosion couldn’t be eliminated in a couple of weeks. Two young draftees also came to their camp, but everybody immediately began to resent, saying that the guys are too young, they need to create families, but don’t work in this ‘heat’. 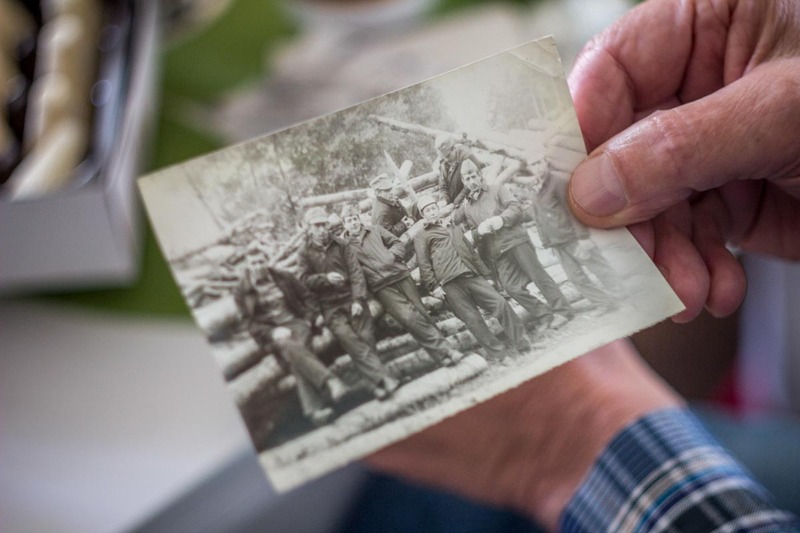 Soldiers managed to defend, and they were transferred to serve in another place. “I was a lance-sergeant, we all were held in tight fists, if you didn’t salute to the officer approaching, your last name was immediately written down and denounced to the commander of the troop. We are all adult men had already forgotten army regulations, and it was unpleasant to go balance-stepped in front of some young man in uniform. The Committee always came to check. Conditions were draconian, didn’t give rest neither day nor night”, — says Sergey Viktorovich about discipline in the camp. Of course, the main work wasn’t in the camp, but in immediate proximity to the tragically-known fourth energy block, to be more exact, in the mazes and on the roof of the third power unit. Our hero with his fellows worked on its reconstruction. The system was set so that people themselves itched to get into the truck with a leaded cabin and proceeded towards the power unit, because in order to return to their families, it was necessary to score in a personal card ‘cherished’ 22 X-rays. You mustn’t be obtained more than one X-ray per day, in this case the permit to the health center was supposed to be given, but government of the country didn’t want to have such spendings. No one was given any rasiacmeter, and X-rays were calculated ‘by eye’. For example, the so-called agent came in the room at the station, who measured the level of radiation, then he said that you can be there exactly 40 minutes. Guys took off their casual uniforms and put on exactly the same, no protective suits were given to them. They took tools and ran into the facility, worked quickly and returned to the camp. Now it becomes clear why the soldiers were afraid to get the offense, because those penal weeks distanced them from returning home. Work on the roof of the power unit was the most difficult: it was possible to be there no more than one and a half or two minutes, and people had to go up the fire escape stairs on 60-meter height. Those who worked on the roof, were given two lead apron-shield, which were tied with a belt and the same heavy gloves, in a backpack was put some material for repair, or a sheet of roofing material, or a piece of bitumen. Sergey Viktorovich wonders how did no one fall down the stairs, because if the lead fell, he would have taken all the rest. Respirators were also given for protection that guys tried to put on when they were driven through the ‘rufous’ or ‘rusty’ forest, so the vehicle sharply increased the speed there. The respirator had to protect against radioactive dust during operation, but fell into disrepair too quickly, and the dust did get into the lungs. Even in the camp constant dryness and tickling in the throat were perceived. It was strictly forbidden to drink local water, there were boxes with mineral water in the tents of the camp, it was always in unlimited quantities. Food was noticeably different from the army one, the dishes had a lot of meat and it was allowed to come to the kitchen for adding for several times. We went to the neglected gardens for apples. Sergey Viktorovich remembers that he has never tried such large and sweet apples anymore in his life. There was a strict dry law in the camp, if someone drank, he was immediately taken to the city, was assigned arrest, and then given to the tribunal. In fact, no one wanted to drink, because the station consisted of such labyrinths that you could get lost and never return, went strictly one by one. 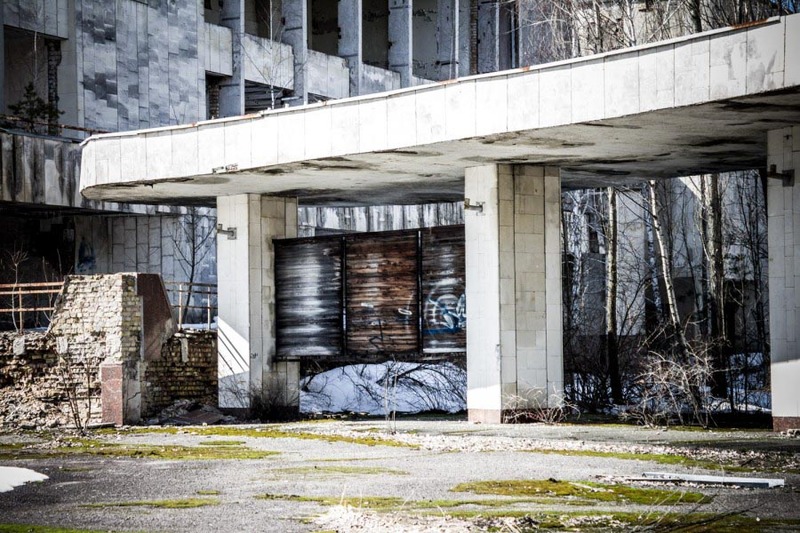 “When we passed through the Pripyat town, the sight was bloodcurdling, everything’s standing brand-new, working, but there are no people, only military and police patrols. But the most dreadful impression was when we saw the churned up fourth power unit for the first time, we weren’t even allowed to look at it, we could lose sight” remembers Sergey Viktorovich, “we were brought to some village nearby by accident, there was a house in the Ukrainian style. 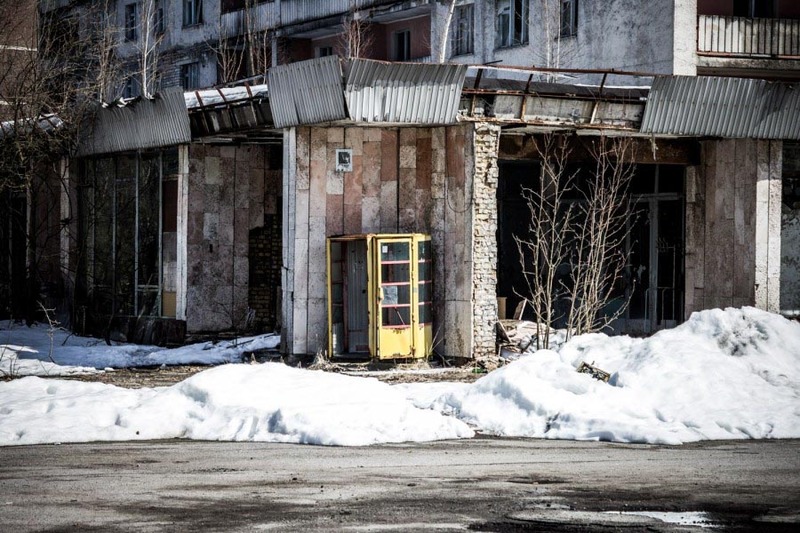 An old man with an old woman came out to us from there, they spoke badly in Russian, and began to tell us that they won’t go anywhere from here, they say, they have household there, they are old enough to leave, and they are not afraid of radiation”. The civilian employees worked at the fourth energy block, they were paid big money and sent regularly to the health center for treatment. “There was one interesting incident when Japanese robots were delivered to work on the roof, so they got out of control and one of them fell from the roof, they were called ‘suicide robots’ afterwards, it wasdecided to let our brother work on the roof, so it would be more reliable”, says Sergey Viktorovich. 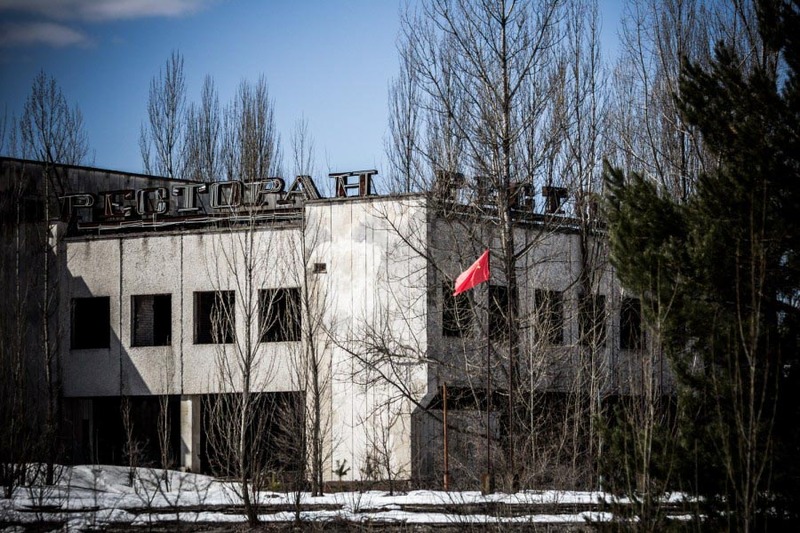 According to fresh rumors that flew among the soldiers on April 26 at the station was decided to put an experiment, a group of young scientists by doing so tried to dain an academic degree. They did it, allegedly, without any coordination and something went wrong. There were people who used the situation for their own benefit. Because, for each ride to the station were paid money in 4 times the amount of wage. If our hero earned about 6 rubles a day at the plant, then for a ride to the station he was charged as much as 24 rubles. By the way, all sum was honestly paid up, and Sergey Lavrov received a salary on arrival in cash desk of the plant. So anyway, representatives of senior rank officer personnel jumped with them in the back of the truck, heading to the station, there they sat snug in the basement and returned with them back. So they were counted a day of work at the station. When their terms came out, they tried to stay in the camp by all means and didn’t go anywhere, continueing to earn money. 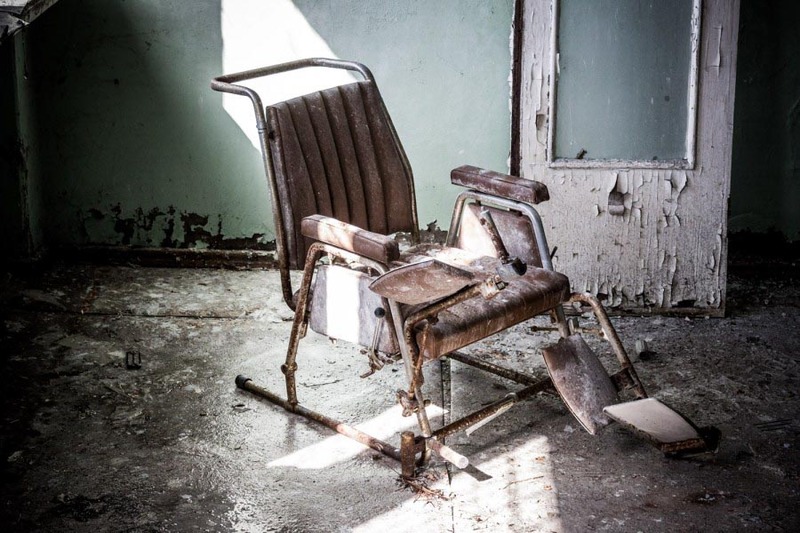 The Chernobyl journey was summed up by the doctor, who told men that it was undesirable for their families to have children, because they took those who had already had become parents, because the consequences could affect several offspring forward. On his return, our hero continued to work on the same harmful manufacture, but after a couple of months began to feel bad: teeth crumbled, hair fell out, very little of the eyebrows left… when Sergei Viktorovich fainted at the workplace, began to ring the alarm. Sent to the Department of Hematology in the RCH. The treatment took a long time, there were different heavy and painful procedures. 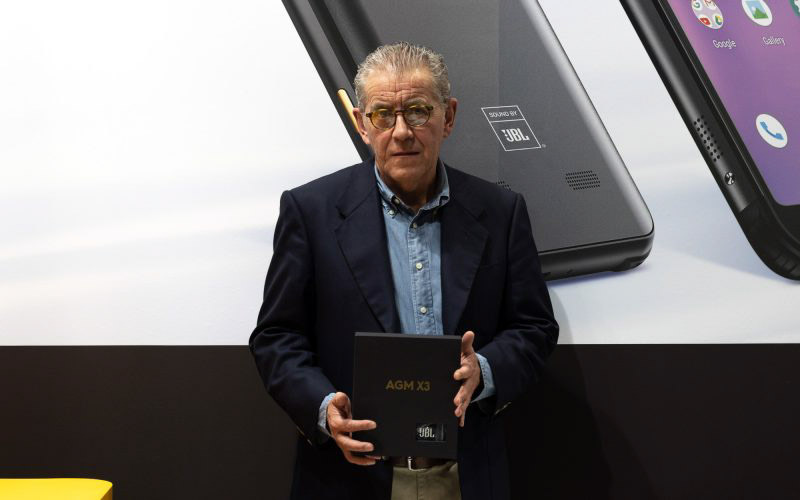 He retired from a harmful manufacture afterwards and received disability status. 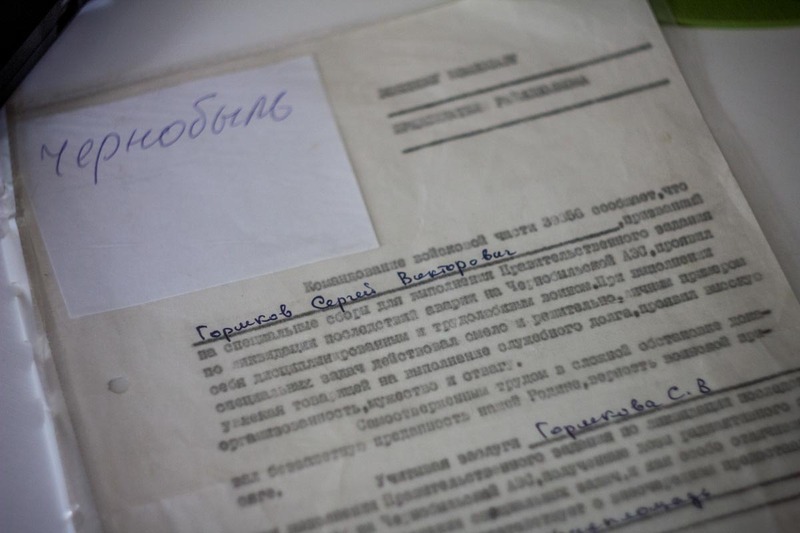 Once a year on April 26, Sergei Viktorovich goes on the meeting of Chernobyl veterans. On the wall can be found his and all other people’s last names, who fought with an invisible enemy together with him. Every year the meeting gathers fewer people: someone has drunken, someone died, and someone doesn’t feel well. “Then, in my youth, we thought that the more radiation dose were picked up, the faster we returned home, only now we begin to figure out and make conclusions. So the system was set up to encourage you to go into the heat. 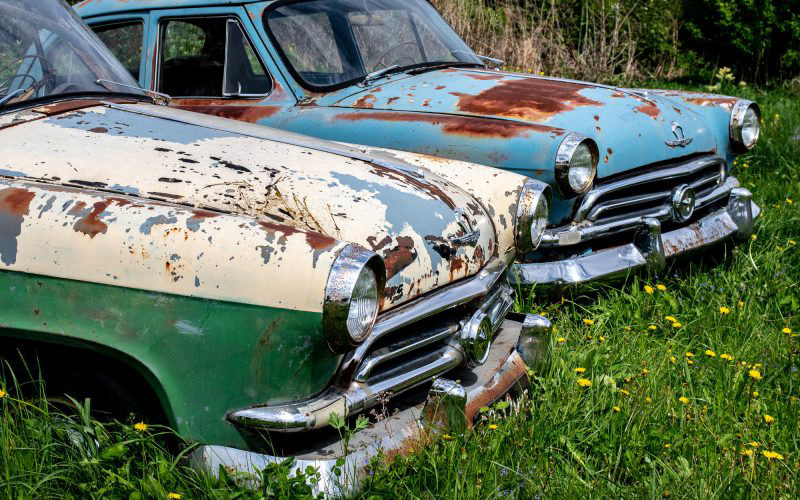 But even now, if I went back in time, I would have better chosen a ride to the station than an article for avoidance and prison”, concludes his story Sergey Viktorovich.